Defense Mechanisms are "invisible methods by which we exclude unacceptable thoughts and feelings from awareness." Sound interesting!? We sure think it is! 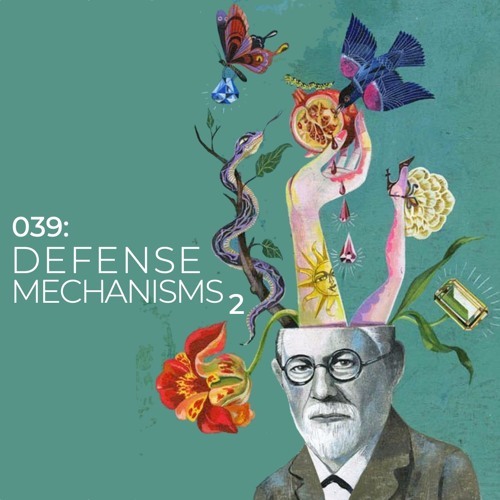 And we sort of feel like talking about Defense Mechanisms is an important calling for us. It syncs up well with therapy, wellness, enneagram, spirituality..and so much more. Knowing about your Defense Mechanisms will help you be a more AWARE person. This week we specifically talk about Projection and Thinking. Get ready to have your mind taken on a bit of a spin. This is a heavy one!